You’re in a Global Project. Now What? There are so many great organizations and global collaborative project options, so just jump in! Once you get your feet wet and figure out the terrain, it’s time to make global projects work for you by specifically addressing your curriculum. You’ve opened up your classroom to the world to allow your students to connect and learn with kids all over, but curriculum standards are different around the world. It is easy to make the project not only collaborative, but also individual to suit your needs. Ecosystems: I used my science text-book as we worked. Then I assigned deeper investigative research on the relationship between sunlight, location to the equator, hemispheres, and the ecosystem. Compare and Contrast: Students chose two countries to compare and contrast animals and discussed how geographical location effected animal population. Informational writing: Students chose a country’s plant posting and wrote an informational piece after researching. 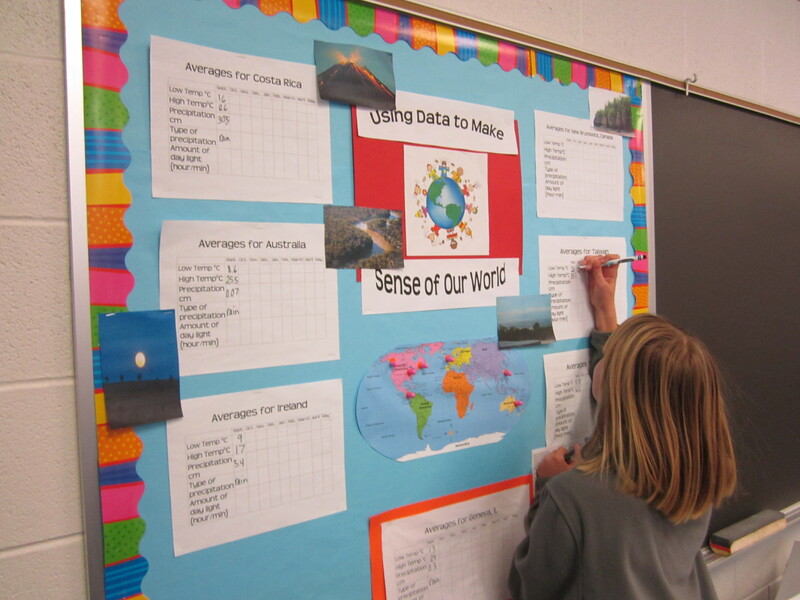 Data and graphing: We used the data from around the world each month to graph and chart. 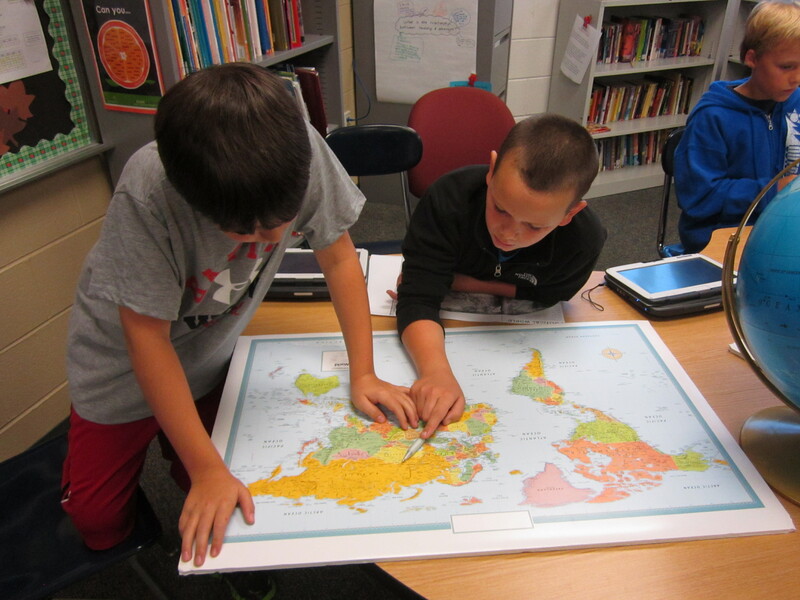 We learned about mean, median, mode while comparing the counties and relating that to distance from the equator. I used my math book to teach these lessons while we worked. 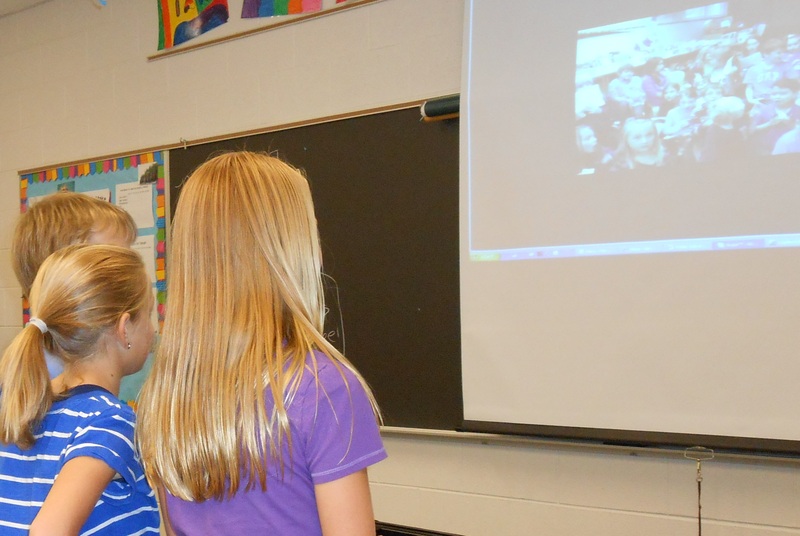 Culture: throughout the project, we discussed culture as we Skyped, discussed, interacted with kids and teachers. In addition, we used edmodo.com as a place for students to interact directly. I taught digital and global citizenship, collaboration, and technology while we worked online. Schools participated on different levels and to different degrees, so I used that to frame my collaborative connections. I chose Using Data to Understand the World in this example, but this can be done with any global project. 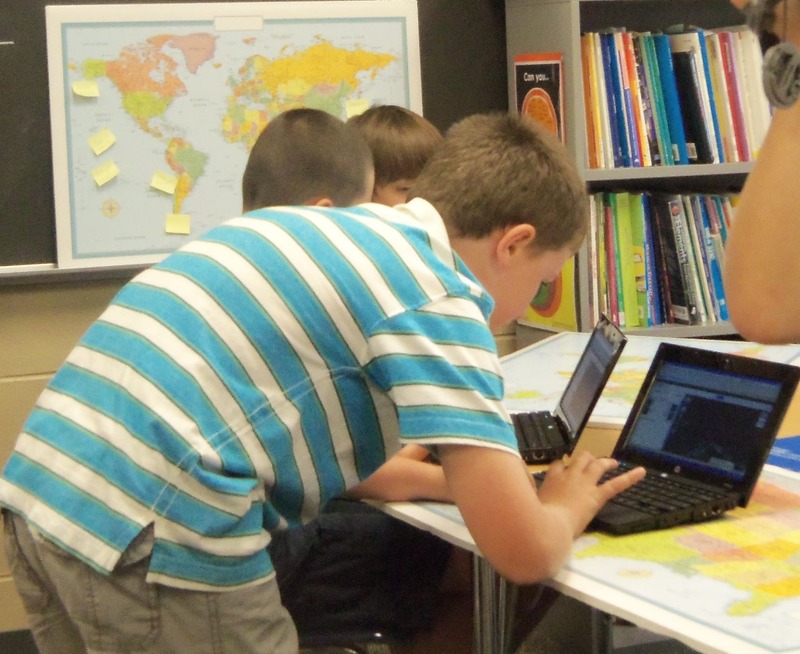 So far this year, we have worked with iEARN and Flat Classroom, and through kidblog.org. This individualization can be done with any project, so start small. Also, take advantage of the other teachers out there. 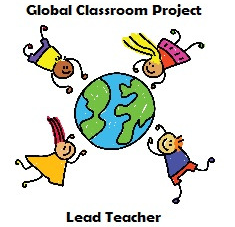 Educators that are online in global projects are there to mentor and help as well. There is an amazing network of teachers online that welcome questions with open arms, so don’t be shy! Professional generosity is abundant. Jump in! As we start the school year and online projects, I’m reminded that incorporating the richness of global collaboration into my curriculum has been a gradual process. The whole process seemed more daunting when I first started, but there are so many people and organizations willing to help make it a real possibility for you and your students. 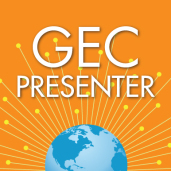 There is no end to the Professional Generosity, a phrase Lucy Gray describes in her TedxTalk, available within the global education community. In my class last week, after our mixed-class small group meetings, Lisa Parisi instructed both of our classes on fact checking and how to cite sources for their collaborative Google docs. That may not seem unusual, but it was all done on Skype, and Lisa’s class was in Long Island, New York and we were in Geneva, Illinois. We are working collaboratively on a geography unit called Natural Disasters and Us. This is a complex project involving research, documenting, writing, communicating online and on Skype, and finally the creation of community prototypes that are designed to withstand specific natural disasters. Lisa and I are able to spend time in each other’s classrooms to learn together as we co-teach. We can be mentors and advisers to one another. She has influenced my teaching greatly. All that, and I have never actually seen Lisa in person. A couple years ago, I could never have envisioned myself doing such a complicated interdisciplinary unit outside of my own four walls. This didn’t happen overnight. I was able to do this little by little with some amazing help. My first exposure was a pilot global project, A week in the Life, a Flat Classroom Project, and at that point, I had to ask my then principal , Dr. Barrett, what a Web 2.0 tool was. The Flat Classroom teachers in that project patiently walked me step by step to not only a successful outcome, but a toolbox filled with web 2.0 savvy. Next came my first iEARN project, the Holiday Card Exchange, involving another group of amazing teachers to learn from and with. Many of us are still in contact doing projects together and sharing information. iEARN’s motto is Learning with the world, not just about it… and that is true in every sense. I cannot stress enough the value these interactions hold. The available growth as educators is nothing short of amazing. Opportunities to learn from teachers all around the world, with varying educational cultures and climates….and with different background knowledge… has added a dimension to my teaching that could be gained no other way. If I can be the teacher in the first paragraph, so can you. All it takes is a gentle guiding hand to lead the way. You can find that in iEARN or the Flat Classroom, as well as many other wonderful organizations. In the past few years, my classes and I have been on a journey across the globe using the internet. We have interacted and collaborated with classrooms across the world by working with excellent global education organizations such as Flat Classroom™, iEARN, and Globalclassroom. We have emailed, Skyped, snail-mailed, and used so many online Web 2.0 tools I have lost count. As a parent, teacher and member of the human race, I think that being comfortable in a global arena is not only the key to the economic success of our country, but the key to any kind of stability in our world. The world we live in now is much smaller with technology, and will continue to get smaller. There is so much misunderstanding, fear and distrust between nations, religions, races, and cultures. I experience that separation dissolve when human beings interact on a personal level as students, parents, teachers, sons, daughters, husbands, wives…as just people. On a recent trip out of the country, I appreciated the fact that many people around the world are making an effort to learn English, but it also made me sad for the missed opportunity we as English speakers have. As a person who speaks Spanish as a second language, and not perfectly even after 20 years, I know the difficulties I can have trying to convey a message or to conjugate a verb properly, and just how frustrating and exhausting it can be to communicate. To have that experience makes me more understanding and tolerant of those trying to learn and speak English. Struggling with another language goes a long way in building a bridge between what I know and what I am unfamiliar/uncomfortable with. It gives me a depth of understanding that not many others things do. It is impossible for me to convey that to my students as we work with children from other countries that are attempting to speak English. As our country works to align our schools’ curriculums with the new Common Coree Standards adopted by 45 of the states in the US, I believe that it would go a long way toward global stability, economic success, and overall tolerance if we also considered the importance of teaching a second language throughout all of the school years, as it is apparent that others countries are doing. Graphic from: American Council on the Teaching of Foreign Languages.